Ride a Segway with the #1 Rated Tour Company on TripAdvisor! 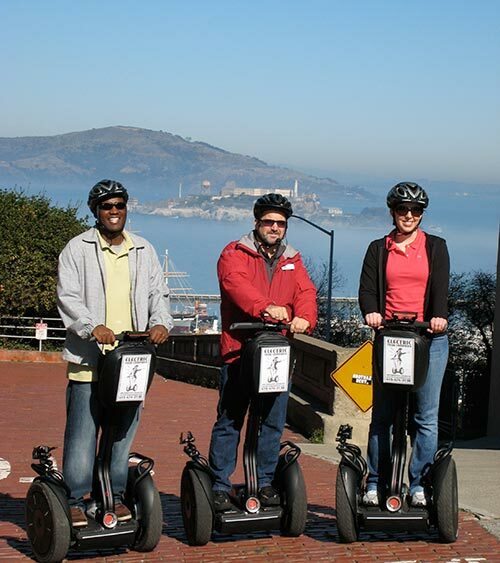 The San Francisco Electric Tour Company offers fun-filled tours of one of the world’s most beautiful cities on the world’s most unique transportation device: the Segway! 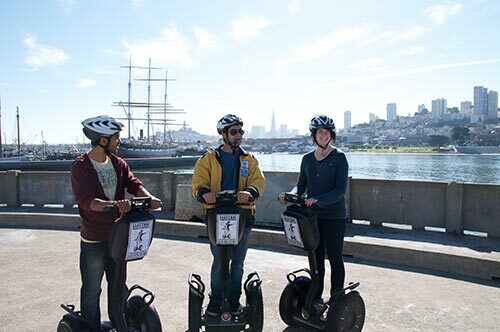 Whether you’re an adventurous single looking for an unusual way to experience San Francisco or a parent with children over 12 years old trying to keep the family entertained on vacation, you’ll love the unforgettable experience of riding on one of our Segway tours! 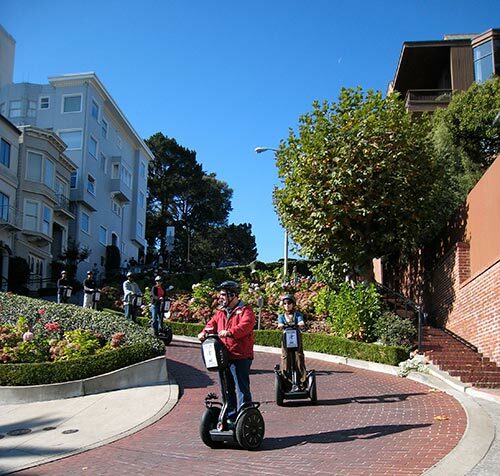 We offer 5 fun guided tour routes daily: Wharf and Waterfront Segway Tour, Golden Gate Park Segway Tour, Night Chinatown & Little Italy Segway Tour, Advanced Hills & Crooked Street Segway Tour and Advanced Golden Gate Park Segway Tour. Our tours will take you to the best views and hidden locations in San Francisco. You will love gliding through the city on a Segway!